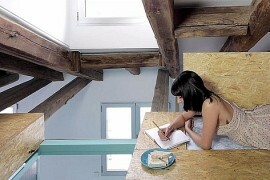 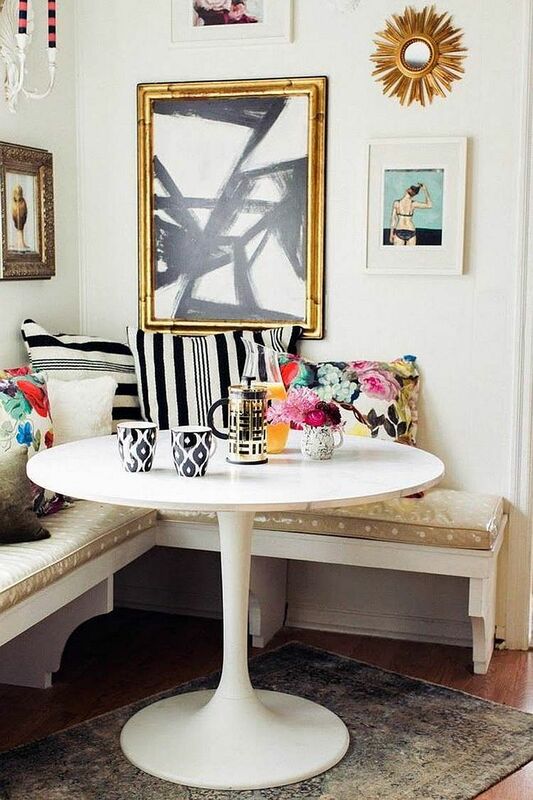 Space, space and space; it seems we are always in search of it as we decorating and redecorate our homes. 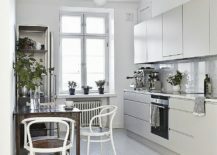 There is simply not enough of it to go around and in the congested urban scenery, every inch of it is simply invaluable (or just incredibly expensive!) 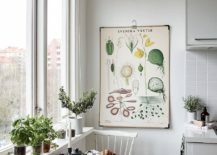 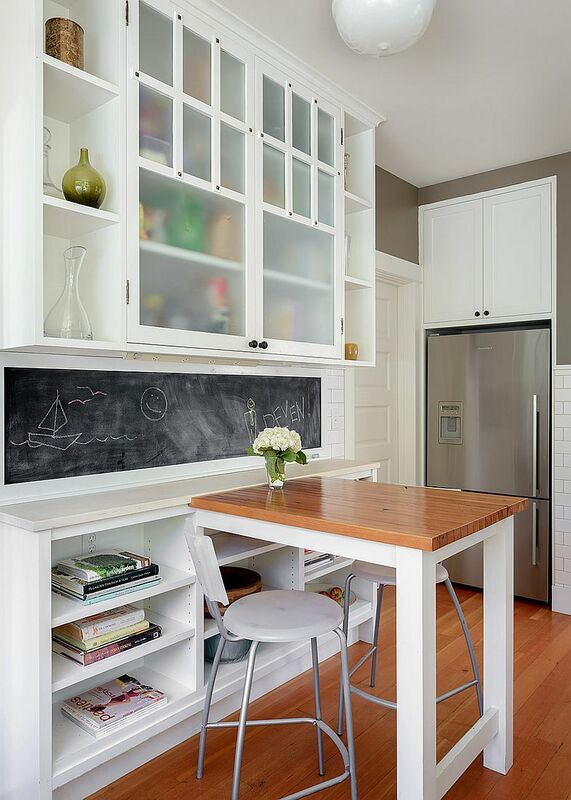 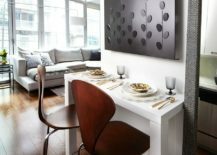 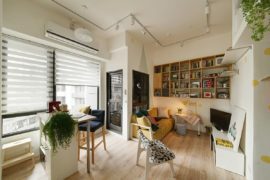 Small space solutions and space-savvy décor additions help you in getting around this conundrum and maximizing the full potential of your home. 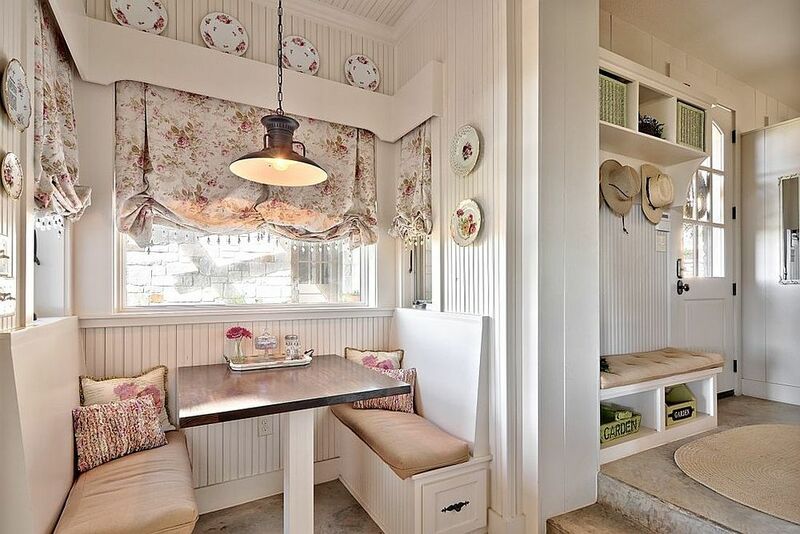 Whether you wish to simply have a wonderful conversation with your loved one each morning over a cup of coffee or want a practical and space-saving breakfast zone that also serves as a lunch station, a tiny breakfast nook does it all. 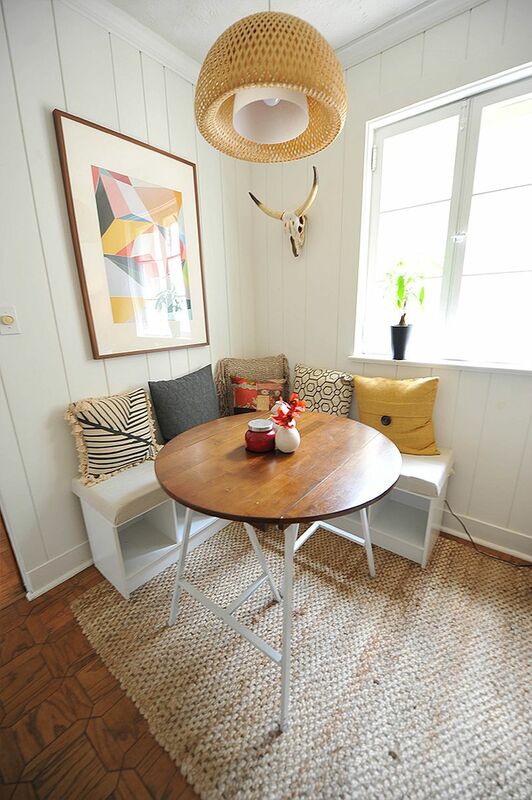 Foldable leaf of the table offers a more spacious breakfast zone when needed! 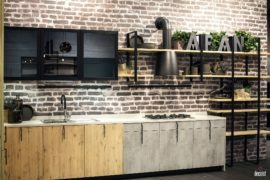 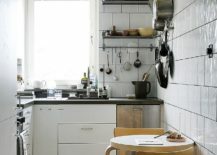 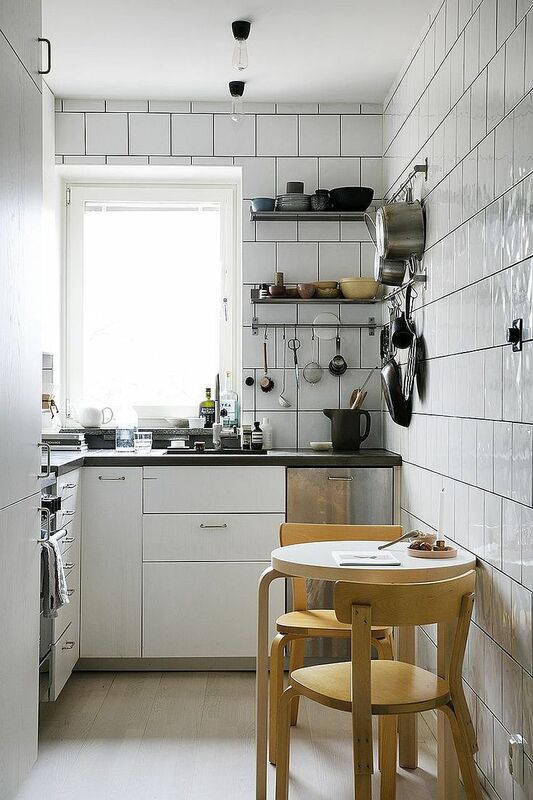 With innovative tables that fold away when not in use, crafting an uber-tiny breakfast zone in the small kitchen or open pan living is now easier than ever before. 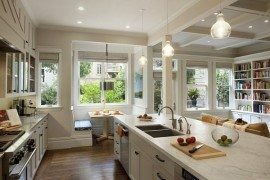 But you can still go down the traditional route and usher home that Bistro style breakfast space as well in all its classic splendor. 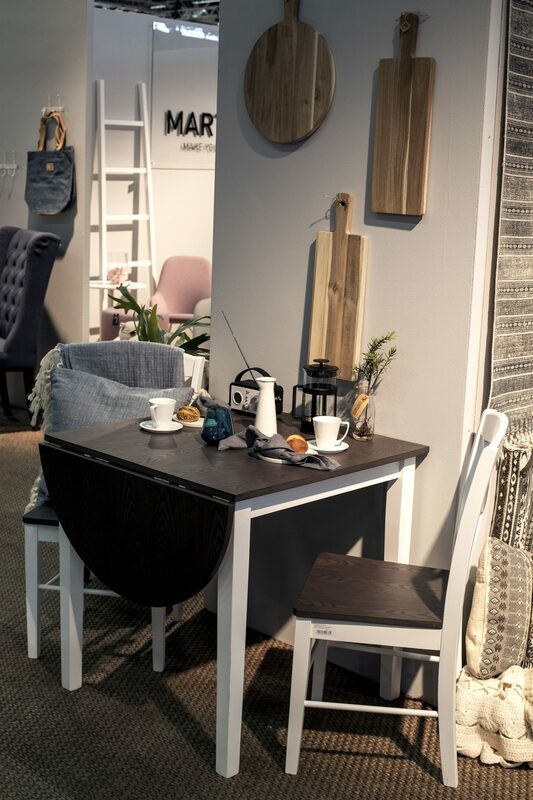 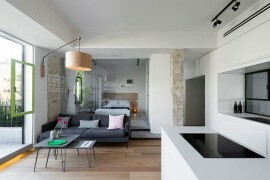 Then there are contemporary alternatives that transform the boring corner into a lovely breakfast station. 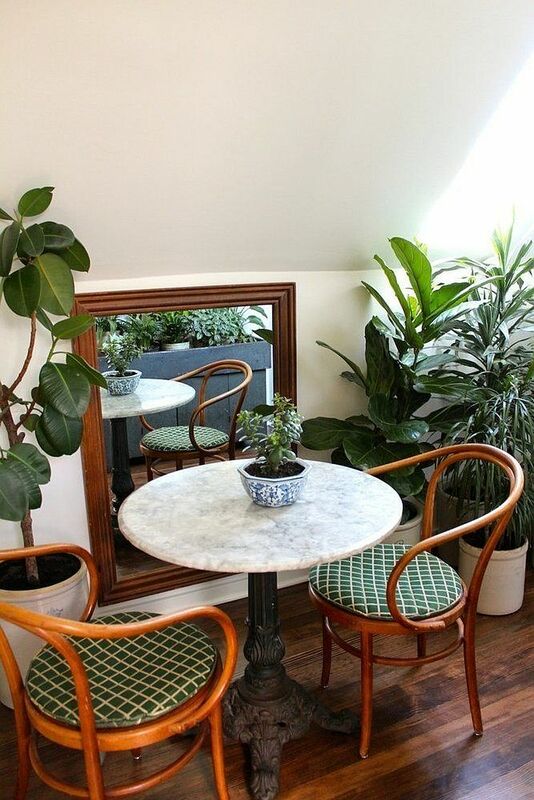 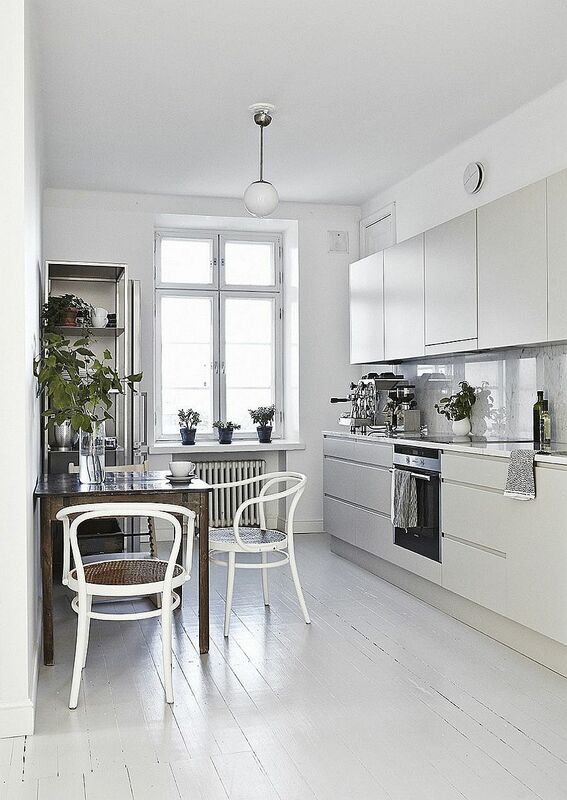 As always, we have 20 tiny breakfast nooks to inspire you in this ‘table for two’ special! 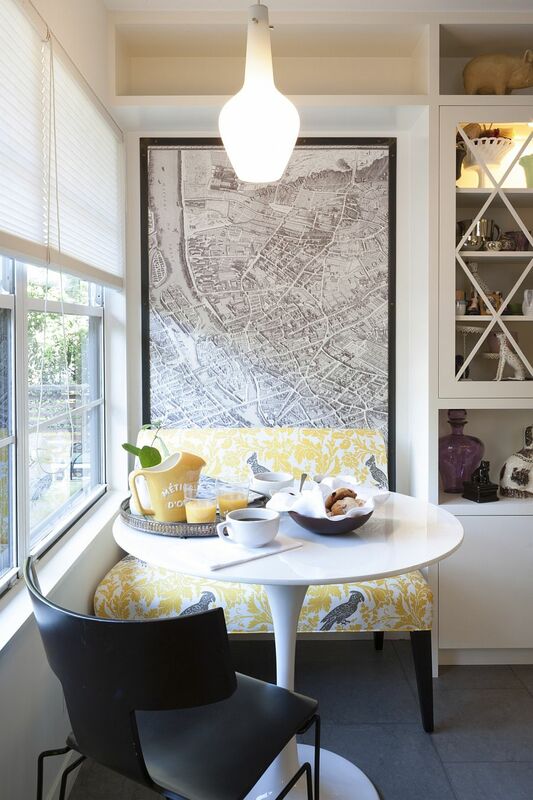 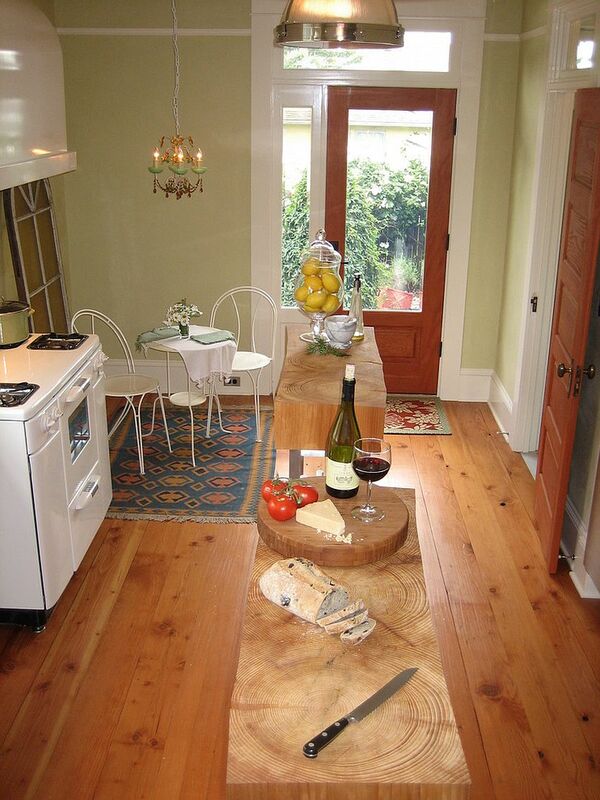 Kitchen is often the chosen spot for the breakfast nook and it makes perfect sense most of the time. 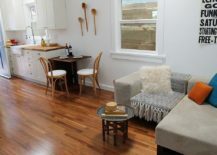 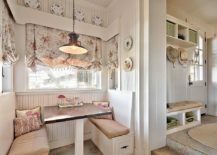 But, with the tiny breakfast nook for two, you can move away from this conventional idea and bring it into the living area, a larger dining space next to the kitchen, the beautiful master bedroom or even the warmly lit sunroom. 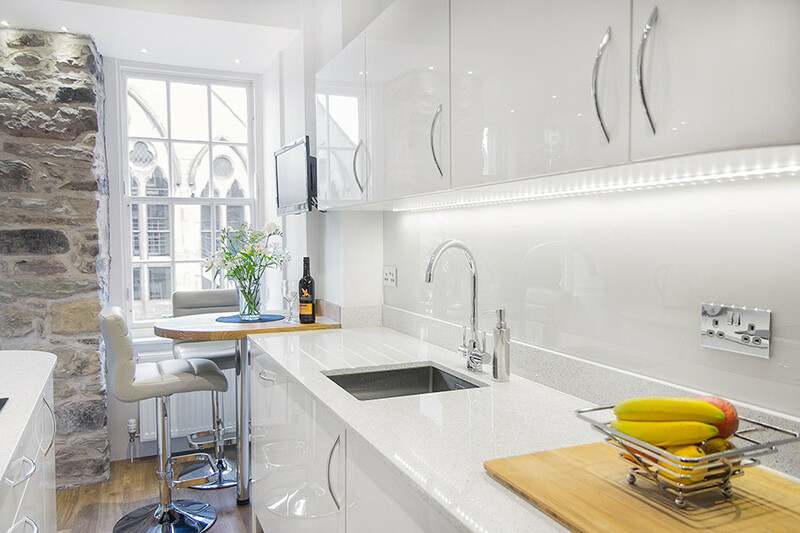 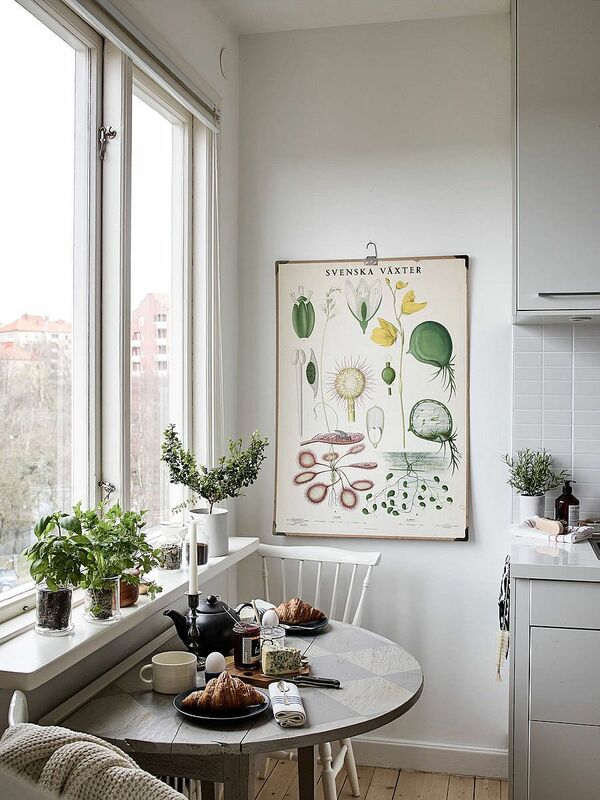 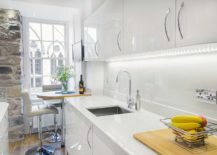 You obviously need very little space here and often, tables mounted at the edge of the kitchen island or simply extend the window ledge outwards make it even more space-savvy. 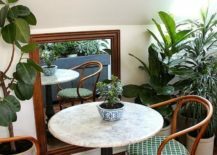 A breakfast nook for two with a smart Bistro style table and curvy chairs that bring along with them the timeless charm of a little café in the streets of Paris is a great idea indeed; and not just for the newlywed! 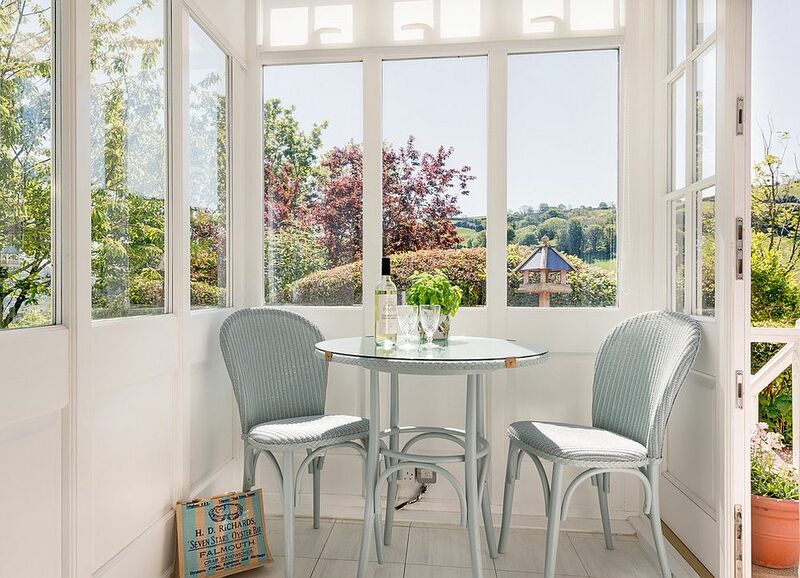 If you want your breakfast nook to ooze a dash of romantic charm without disturbing the theme and scheme of the room it sits in, just add some flowers, maybe some string lighting in the background and a few pastel accents to get the job done. Banquette style seating, a super-small table and plenty of romance in the air – this table for two is snugly placed in the corner, has a wonderful view and is always reserved for you! 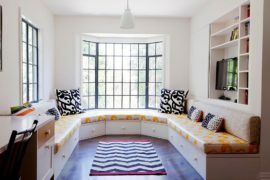 Corners in a room are grossly underutilized and a tiny breakfast nook with plush banquette-style seating can put any forgotten corner to good use. 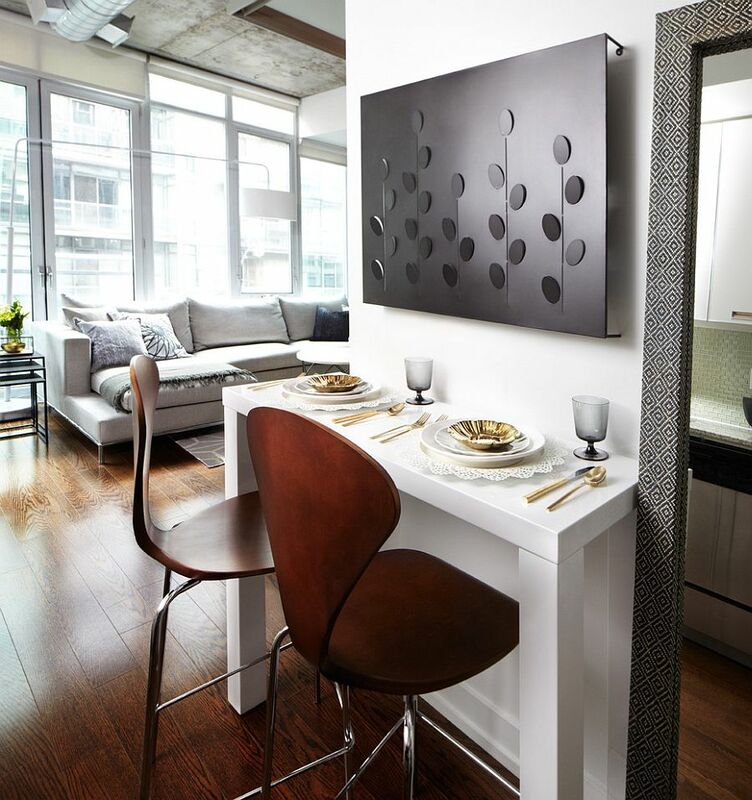 Many of these seats also come with the advantage of built-in storage units underneath, giving you a perfect blend of dreamy aesthetics and practicality. 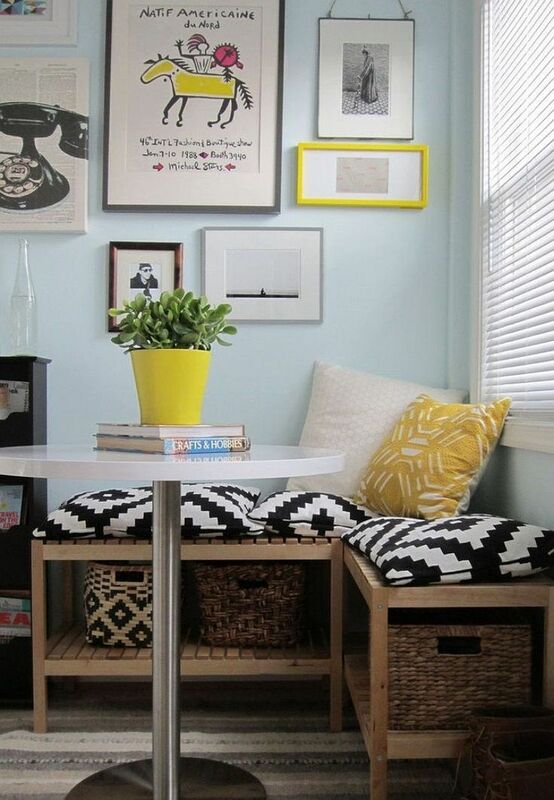 Corner breakfast nook for two with storage space under the bench is a snazzy way to save some space! 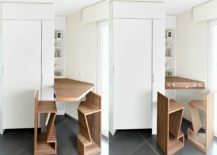 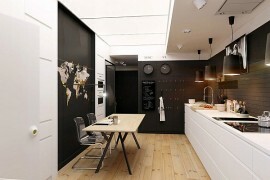 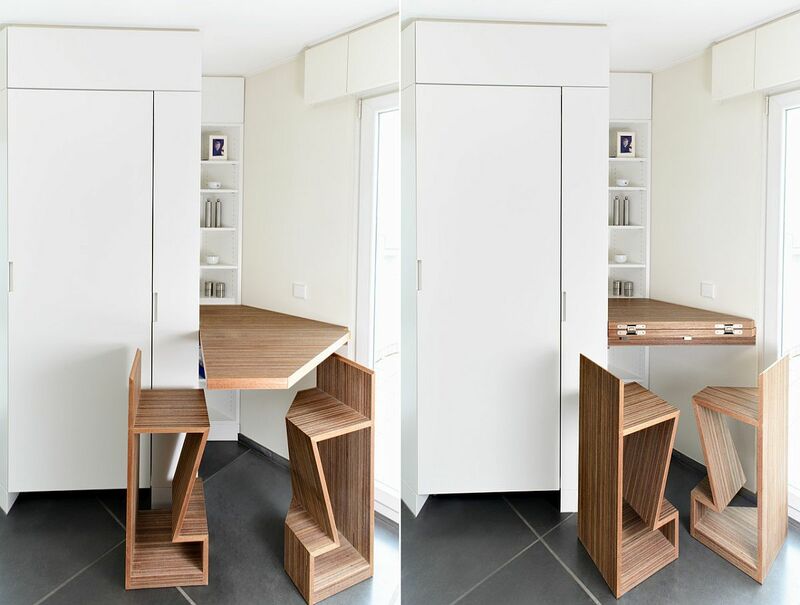 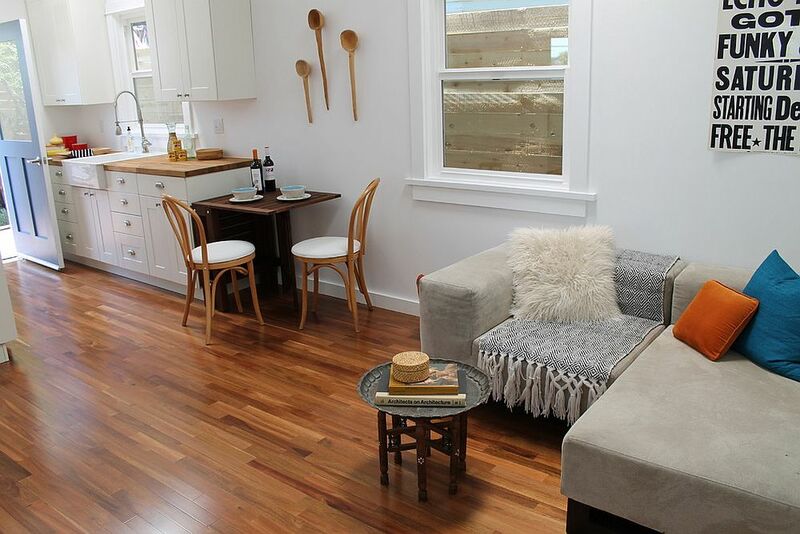 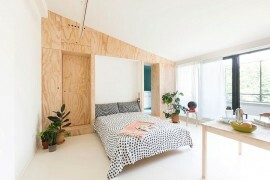 Stylish and tiny breakfast nook for two also comes with storage options! 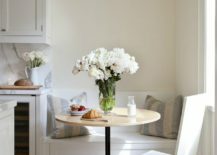 Finding the right chairs and table for your small breakfast nook ensures it blends in with the existing style of the room it adorns. 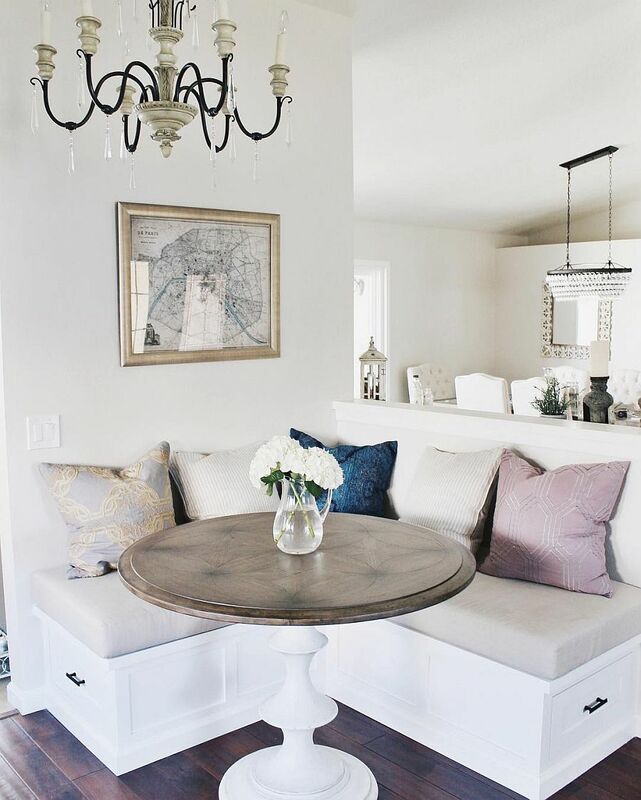 Since white is most often the color choice in modern homes, you breakfast nook can easily adopt some of the more popular styles like shabby chic, Scandinavian, modern rustic and beach style without actually altering the color palette of your living area or dining room. 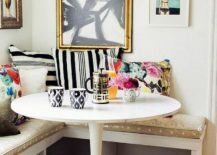 One can always alter the chairs used to bring in trendy seasonal colors and turn the tiny breakfast zone into a home workspace or even kids’ study.